Since high performance, high scalability workstations can cost a bit more than traditional desktops or laptops, people should do some comparison shopping first. 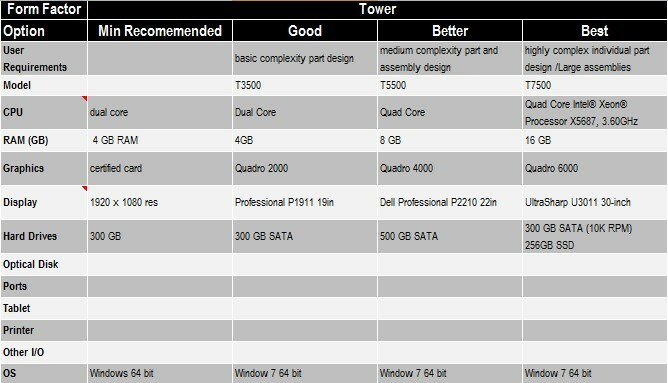 An entry-level desktop workstation can be both price competitive and still offer many features of traditionally higher priced workstations. So what should you look for when you are comparing hardware features? A few of us CAD folks are experimenting with solid-state drives (SSDs), since they give fast boots and quick launches of Solid Edge (and most other high-end software programs). However, SSDs cost more than traditional hard disk drives (HDDs), so only a lucky few are getting them.